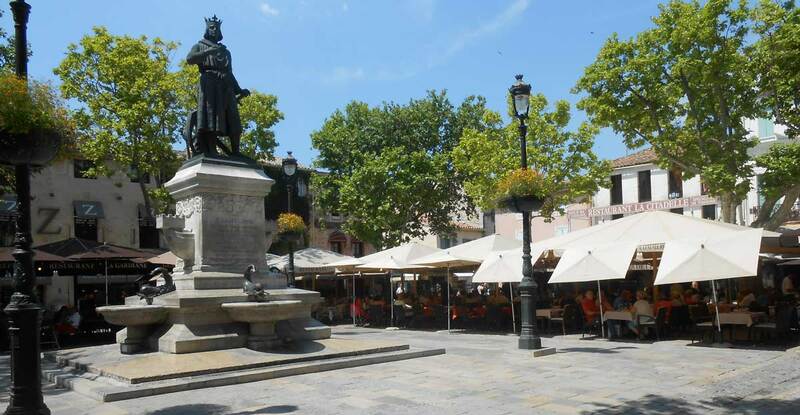 After a visit to historic town of Aigues-Morte we travel into the heart of Camargue, an extraordinary part of France. The vast flat area has been formed by the delta of the Rhone river which flows south from the Alp mountains into the Mediterranean Sea. The regional park covers an area of 85 thousand hectares of land and 35 thousand hectares of water, this is France’s largest wetland area. The rivers, canals and salt water lakes. Flamingos spend their days in on the waters, but early morning and late evening they’ll fly to other pastures. You’ll often see their formations just above the sea. Sturdy large hoofed Camargue horses with their brown foals roam salty pastures. 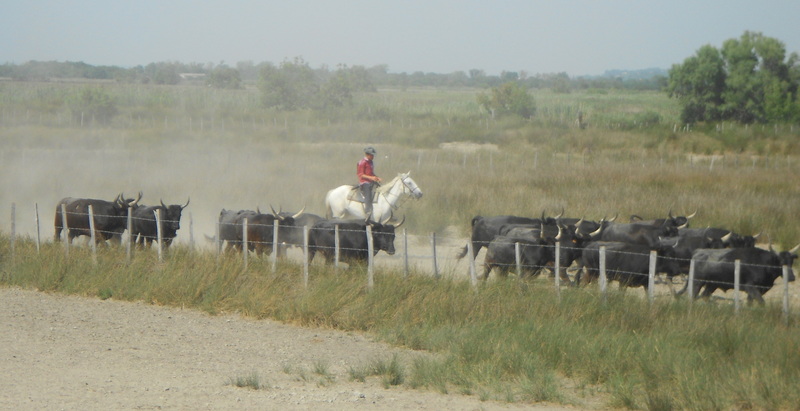 Black bulls, feed in dusty parched fields, which are divided by irrigation canals. The wild bulls are herded by talented “Gardians” cavaliers who have a brotherhood older than 500 years. With the marshes there is an abundance of reeds, they are used for thatched roofs, keeping the homes cool and well insulated. 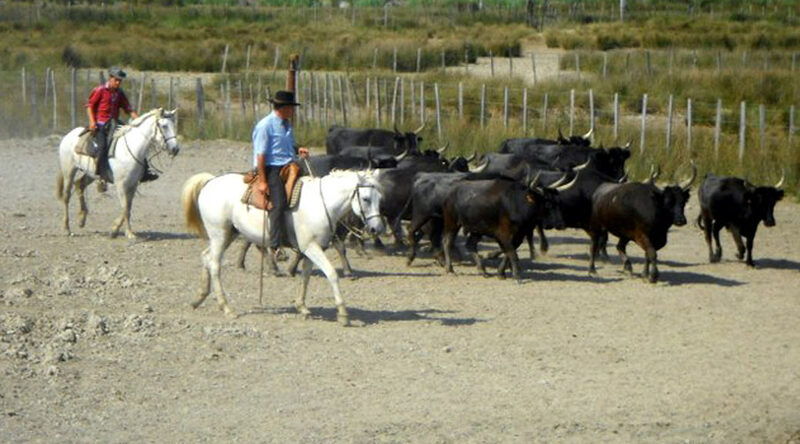 A manade translates to “free roaming herd of bull” and the mas is a traditional white lime farm building. Man, Camargue horse and the black bulls Taureaux have lived together for hundreds of years, each dependant on each other. The wonderful climate provides an abundance of fruit and vegetables. 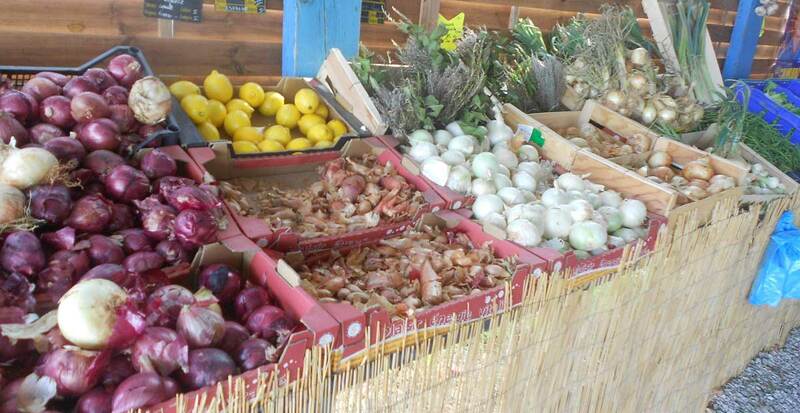 Sweet melons, an assortment of shapes and colours for tomatoes, apricots, peaches, coloured onions and garlic. 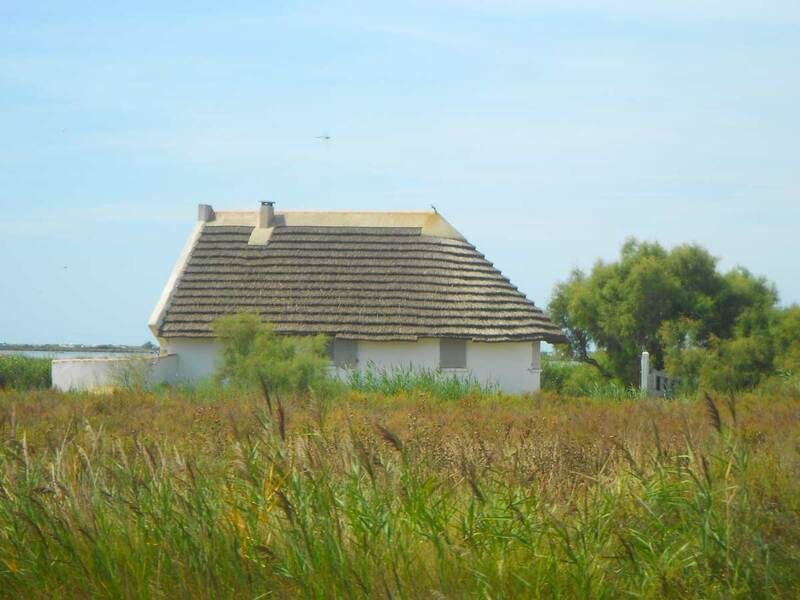 You may think it unusual for rice to be grown in France, but it is and here in the Camargue. “Riz de Camargue” a grand ingredient to gourmet cuisine. Salt “Sel” mining, using solar evaporation to produce almost pure sodium chloride. Les Salins du Midi is one of the historic companies refining salt in the Camarague. The land is flooded with sea water, via pumps, canals, and estuaries. Enjoy the beauty of the “pink” waters. The “vin des sables” one of the few French vines to avoid the terrible Phylloxera. This very local red, white and rosé wine has a unique taste, the vines grow in extraordinary conditions and the roots which go deep into a sandy soil, dense in sea shells and fern compost. Some of the vines are only 100 metres from the sea, but carefully protected by sand dunes. The coastal town is sacred. The church Notre-Dame-de-la-Mer, with the crypt of Saint Sarah and the relics of the two Saint Maries’ is a sacred place to the Gitanes. Twice a year the Saints’s relics are taken to the sea. Gitanes fortune tellers will try to converse with you. 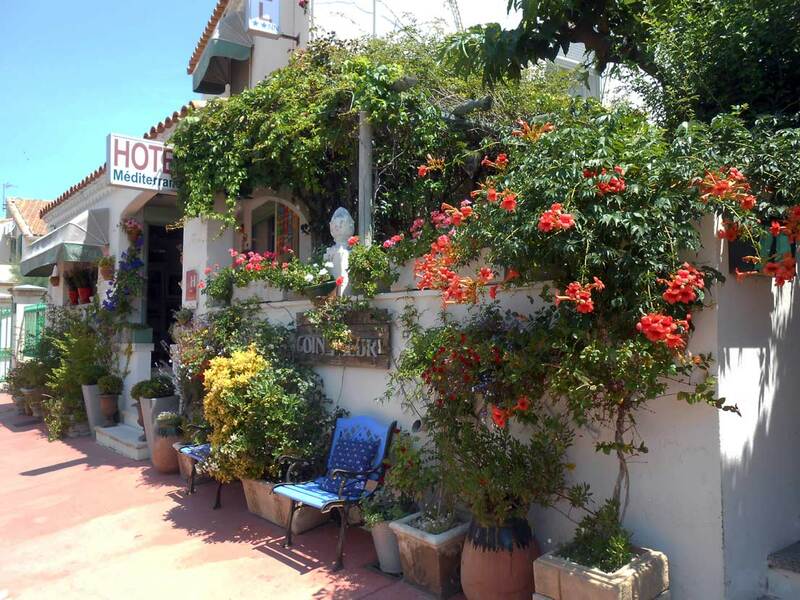 Cafes and restaurants provide welcome shade, refreshing drinks and taste dishes. The streets are busy with visitors seeking the many curiosity shops. Leather goods, soaps, vines and beautiful summer clothes a line the narrow pedestrian ways. 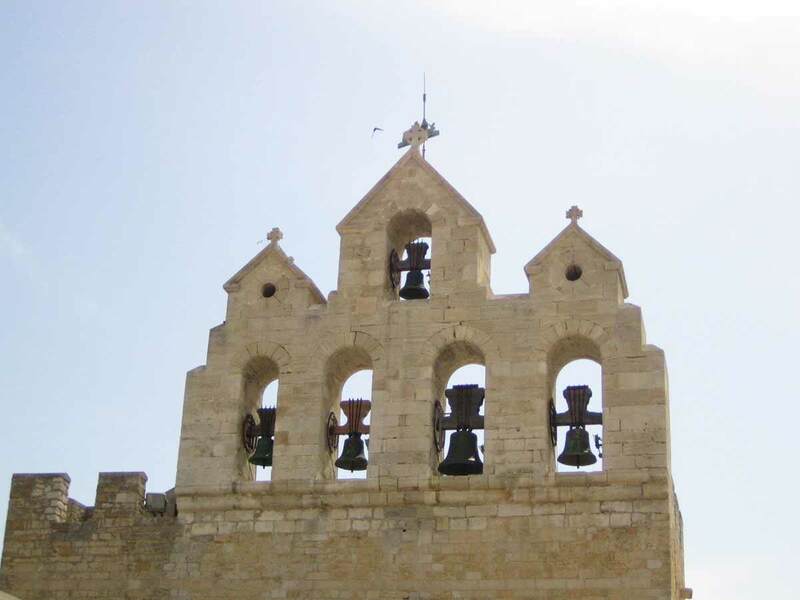 The fortified coastal town was once an important port, providing the French king with a route to the Holy land for the Crusades. The port is now for pleasure craft, with comfortable moorings for hotel barges and self-drive rental boats.